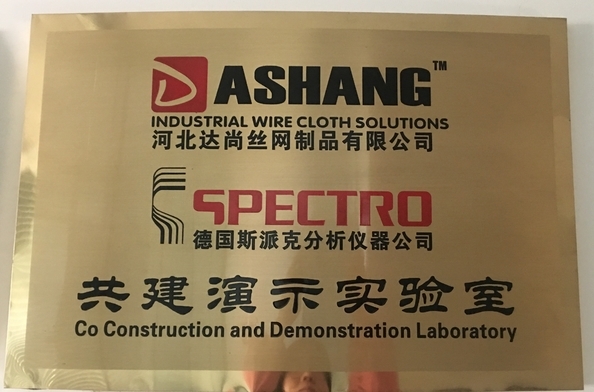 Factory Tour - HEBEI DA SHANG WIRE MESH PRODUCTS CO.,LTD. DS has a mature system to control the production process of wire mesh. Before we start an order, we need to make a plan to control the production and promise the quality of wire mesh. The Office of Technology must prepare documents according to requirements of the client, then the production plan, inform the relevant sectors of the production plan. 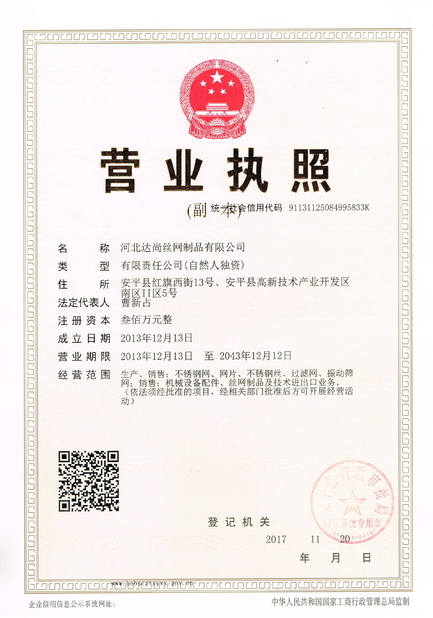 The purchase Office should prepare order according to requirements of Product Technology. The Quality Department should make a verification on the material and mechanical peopiedades of the wire. The wires in spool are wrapped in the warping machine. The wires in the warp and weft direction are woven on the loom. Fill out the product inspection form to traceability the wire mesh. Verify that the product meets the customer's needs. Product processing according to customer's requirements. Packing, delivery, protection of products. HEBEI DA SHANG WIRE MESH PRODUCTS CO.,LTD.